The much-awaited, heavily revamped latest iteration to Apple's mobile operating system has just been officially unveiled! 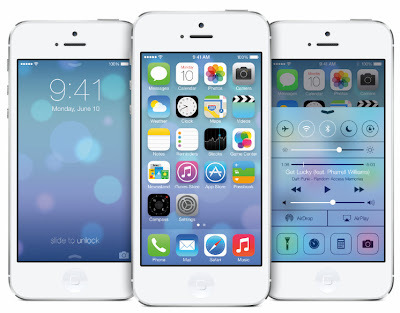 "iOS 7 is the most significant iOS update since the original iPhone. To create it, we brought together a team with a broad range of expertise from design to engineering. With what we’ve been able to achieve together, we see iOS 7 as an exciting new beginning," shared Mr. Craig Federighi, Apple's Senior VP for Software Engineering. In the past five years, we've seen a tremendous rise in the number of iPhone and iPad owners in the Philippines. In 2011, Smart Communications officially joined rival network Globe Telecom as an official partner network and carrier of the iPhone, creating a more competitive environment and helping drive the prices of plans down. In fact, it has a reached a point where competition is so stiff that both Globe and Smart have deemed it best to bundle the iPhone and iPad in some of their plans for free. Another thing that greatly contributed to the prevalence of Apple products in the country is the emergence and increasing popularity of online sellers like Kimstore, which bring these devices to the country, making them more accessible to consumers in provinces, far from an authorized Apple reseller. If you're one of the tens (if not hundreds) of thousands of Filipinos who are now using an iPhone 5, iPhone 4S, iPad Mini, iPad with Retina Display, the New iPad, iPhone 4, or iPod Touch 5th Generation, this post for you. 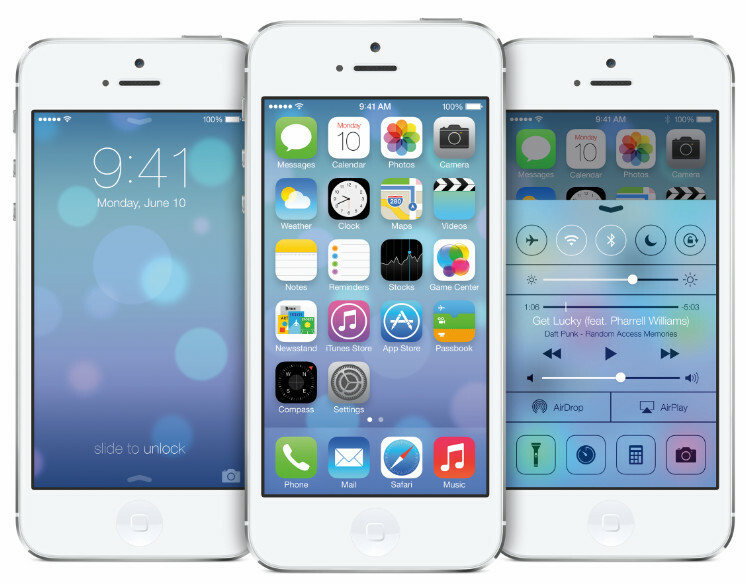 According to Apple, iOS 7 is completely redesigned with a totally fresh new user interface, but will still bear features that are instantly identifiable to the hundreds of millions of iPad, iPhone, and iPod touch users across the planet. The new interface actually makes your iDevice appear bigger because all elements are designed to take advantage of the entire screen. On top of that, the redesigned fonts look amazing on the Retina display, making text look sharper and more appealing. "There is a profound and enduring beauty in simplicity, in clarity, in efficiency," said Mr. Jony Ive, the Cupertino company's Senior VP for Design who has taken the lead in this major UI redesign following the resignation of Mr. Scott Forstall, former Senior Vice President for iOS. "True simplicity is derived from so much more than just the absence of clutter and ornamentation —- it’s about bringing order to complexity. iOS 7 is a clear representation of these goals. It has a whole new structure that is coherent and applied across the entire system." The typography has been refined for a simpler and cleaner look, and the smart use of transitions and translucency makes even the most simple tasks more engaging. iOS 7 sure looks very slick and gorgeous but if there's anything that can match its appearance it would have to be the many enhancements that go with it. Apple's new mobile OS comes replete with hundreds of great new features, including improved Multitasking, a new Control and Notification Center, AirDrop - for sharing content with people nearby with no set-up or network required, a more intuitive Camera app and Photos gallery, New Safari and Siri, and it even introduces iTunes Radio, a free web radio service based on the tracks you often listen to on iTunes. Control Center allows you to quickly turn on or turn off Airplane Mode, Wi-Fi, and Bluetooth, among others, with just one swipe from the bottom of your device's screen. Likewise, it lets you adjust screen brightness, pause or play a song, jump to the next track and stream your music with AirPlay. The Control Center also provides instant access to frequently used apps such as Camera, Calculator, Clock, and Flashlight. If lack of true multitasking is one of the things that you find frustrating about iOS, you'll be glad to know that with iOS 7, Apple has finally given developers the ability to enable any app to multitask in the background via a new API! Users will also get a redesigned multitasking page, where you will see thumbnails of applications running in the background. Do you love Instagram? Well, iOS 7's new Camera app now includes a square camera option plus built-in filters so you can add real-time photo effects for quick sharing on the social networking site. Siri on iOS 7 - which comes with deeper Twitter, Wikipedia, and Bing integration - can converse you with a male voice and even change device settings and play back voicemail. Other features include an all-new Music app, Night Mode in Maps, strong Find my Phone Activation Lock, high-quality audio for FaceTime calls, Notification Sync across all of your iDevices, automatic updating of Apps, Contact Blocking for Facebook, Phone and Messages, enhanced in-car integration, and a more powerful Safari, which now supports full-screen browsing, smart search, improved parental control, new 'cover flow like' tab view, and iCloud Keychain where you can securely store passwords and credit card information. 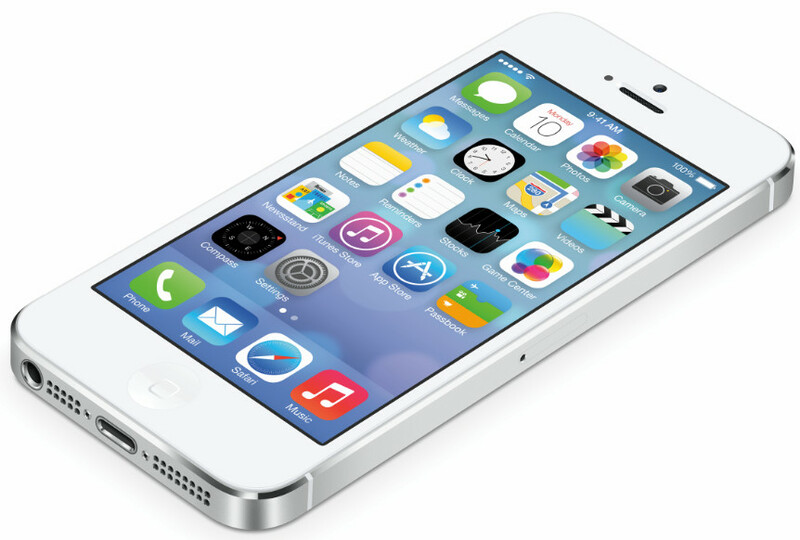 Lots of things about iOS 7 to be excited about, really. For me, though, I'm just happy that it looks effortlessly attractive, that it gives quick access to connectivity settings, and that it finally heralds the arrival of true multitasking on the platform, which has long been overdue. I've always known that Jony Ive is a gem of a find for Apple but, to this day, every time he presents something new that he worked on, he still amazes me. Right now, I'm just greatly looking forward to receiving and installing the iOS 7 firmware upgrade on my iPhone 5, iPhone 4S, iPod Touch, iPad Mini, and New iPad. Quoting Apple, "iOS 7 SDK and beta software are available immediately for iOS Developer Program members [via the developer website] while iOS 7 will be available as a free software update for iPad 2 and later, iPad Mini, iPhone 4 and later, and iPod touch 5th Generation starting this Fall in the US" -- that's late September or early October this year.